Previously a Denver tax attorney at The McGuire Law Firm has written articles regarding the process of preparing and submitting an offer in compromise to the IRS. However, clients will often as a tax attorney, “what is the offer process once the offer is submitted to the IRS?” We hope the article below helps answer this question. Upon receipt of the offer, the IRS Offer in Compromise unit initially reviews the offer to make sure the offer can be processed. 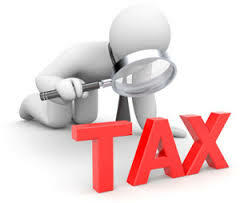 The offer unit will look to make sure all forms and attachments have been completed correctly and are included, proper payment of the offer in compromise application fee and initial offer payment are enclosed and the offer unit will check to make sure the taxpayer is current and compliant with their tax obligations. Current and compliant refers to the taxpayer having filed all current returns that are due and making any necessary tax payments or deposits that would be due. The failure to be in compliance at this stage of the offer process or any stage can lead to the offer unit or the offer examiner returning the offer in compromise. When an offer in compromise is returned, the taxpayer does not have the ability to appeal the decision. The distinction between the offer being returned versus the offer being rejected is important. If an offer is rejected the taxpayer can appeal the determination, whereas if the offer is returned, the taxpayer has no appeal rights. After the offer unit deems that the offer can be processed, the offer will be forwarded to an offer examiner. The offer examiner may be located in a different unit or department than where you forwarded the offer, but you will receive notice from the unit. The offer examiner will examine the forms and attachments and can conduct other forms of investigation such as through secretary of state websites, clerk and county records or any other means available to the examiner, including the internet. Our Denver tax attorneys have actually seen an offer examiner investigate certain issues regarding a business taxpayer by visiting the taxpayer website. Further, the examiner may request additional information and would do so by issuing a written request to the taxpayer. If the additional documents are not provided to the examiner, the offer can be rejected. After the examiner has concluded their investigation, they will issue their determination. The determination may be to accept the offer exactly as proposed or they may “reject” the offer amount, but be willing to accept a larger amount. Moreover, the examiner could reject the offer stating that based upon the taxpayer’s reasonable collection potential, the entire tax debt can be paid and thus the taxpayer is not an offer in compromise candidate. If your offer is accepted, you pay the offer amount as proposed or could request the terms be amended at such time. If the examiner has requested a larger amount, you can provide additional information in an attempt to refute the increase. If you are unable to come to terms with the examiner, you can appeal the rejection of the offer in compromise to the IRS appeals office. If you would like to discuss an offer in compromise in more detail please contact a Denver tax attorney at our office. Our tax attorneys have a lot of experience in negotiating with offer examiners and we are proud of the outcomes we are able to obtain for our clients.